I’m so in love with grilled chicken wings. People often ask me what my favorite thing to grill is and I always say “Chicken wings”. 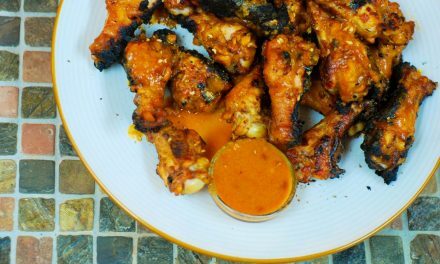 Chicken wings, or drummettes, rather, are perfect for the grill because the meat doesn’t dry out like other parts of the chicken might, as well as being a great vehicle for any marinade or sauce you want to put on them. My husband says these are the best wings I’ve ever made, which tells me it is good because I have 2 other winning wing recipes. 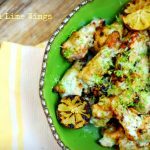 The flavors of wasabi and lime play together in a coconut milk marinade that is also used as a finishing sauce that is flavorful but not very spicy. 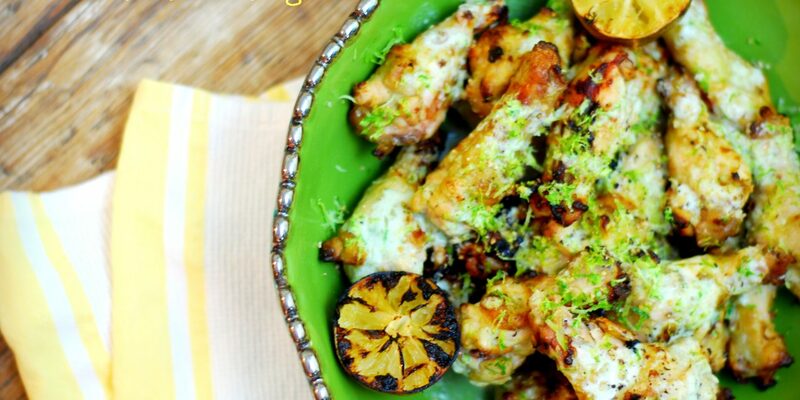 Glaze the wings with sauce while grilling, and then finish with extra lime zest grated over the top at the end. 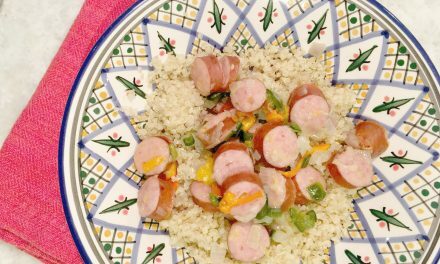 A nice dash of citrus sea salt and fresh ground pepper complete this dish! I guarantee there will be NO leftovers! Combine coconut milk and wasabi. Next, juice the 3 limes and then grate the zest into the coconut milk mixture. Combine well and reserve about ½ cup for use later. Preheat your grill to medium/high- about 350 degrees. Oil your grill grates so the chicken does not stick, you will be glazing with extra sauce which will also make them more likely to stick. 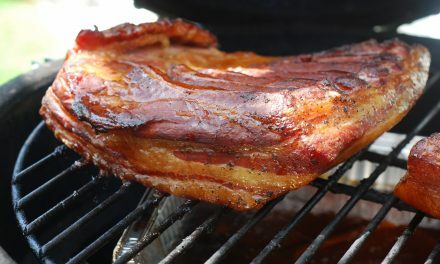 Grill on each side for about 7-10 minutes or until char marks begin to form. 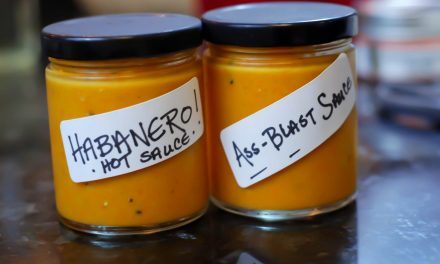 Baste with the sauce from the bowl as they cook, flipping as necessary. Slice the remaining lime and grill until nice charmarks form- these will make for nice presentation with the wings later. The wings ready to pull off the grill when an internal read thermometer like the thermapen reads 170 degrees. 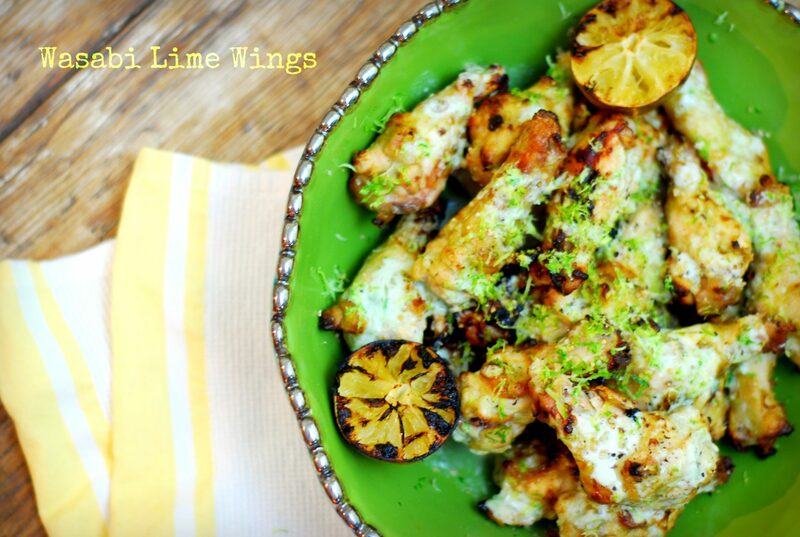 Tent for 5 minutes, then serve with the grilled lime for presentation (and you can squeeze the juice on at the table), grate additional zest onto the wings. Drizzle with sauce and generously sprinkle with sea salt and pepper. Prepare for wing ecstasy! Yes I said wing ecstasy lol! The flavors of wasabi, lime and coconut make for an out of this world flavor combination! Love this idea! Fabulous combo and Pinned. Hey love that combo too. Few weeks ago i did my own wasabi chicken but put used chicken drumsticks and put the wasabi marinade under the skin so it didn’t just ran of and build a puddle on the ground. You can find my version at http://magublacook.blogspot.fi/2014/11/rosmarin-wasabi-hendl-mit.html if you are interested.